We all want to know the secret on how to teach writing skills effectively, to our children. Since there are a number of writing skills and since this process is an ongoing process over years - one thing we require - is motivated children. I believe that children need a purpose to write as well as something significant to write about. One of the joys of homeschooling is reading together! As a family, over many years, we would listen to a great book being read aloud and smile, laugh and cry with the characters. Literature, also abounds in wonderful opportunity for lessons. But on that note, we do have to be careful not to make a wonderful opportunity into a weary lesson. Too many children end up hating literature because teachers have ruined it by pulling it apart and destroying its beauty - but only you can be the judge for that. Here are some ways we have used literature as a springboard to incorporate and teach writing skills. 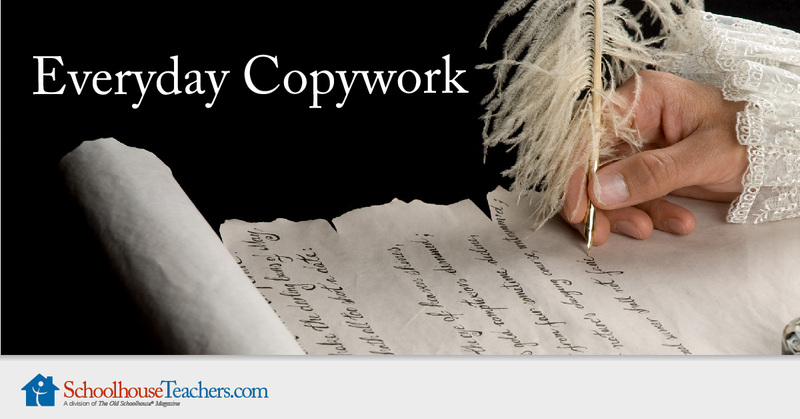 Copywork is a simple, yet effective strategy on how to teach writing skills. By copying excellent literature - you are copying models of excellent vocabulary, sentence structure, dialogue and so on. There is such a wealth of teaching by simply copying. Aiden went on. "I know my brother is a liar and a fraud. But some of the things he said sounded right, made me wonder if I have what it takes to be the Wilderking." Aiden paused, collecting his thoughts. "He said that everything I ever had was given to me, that I haven't deserved any of it. I've been thinking about that. And I don't know. Maybe it's true." Bayard threw back his head and laughed. "True? Of course it's true! Everyday Copywork brings your student penmanship practice, in both print and cursive, through copying Bible portions, excerpts of literature and foreign language selections. Another way to motivate children to write - is to keep a reading log of the books you have read aloud and also the books your children have read. It is inspiring to look back at all the books you've read together. My children recently created their own "bookshelves" on a large sheet of paper and made spines or front covers of the books when they had read them. This was their visual Book List. They sometimes added a Book Review. So, in both ways, you are encouraging writing with a purpose of making a list which you can enjoy and look back on later on. Michelle Miller (from TruthQuest History - really knows her books! So,, if you're stuck for motivation and where to begin... look below! 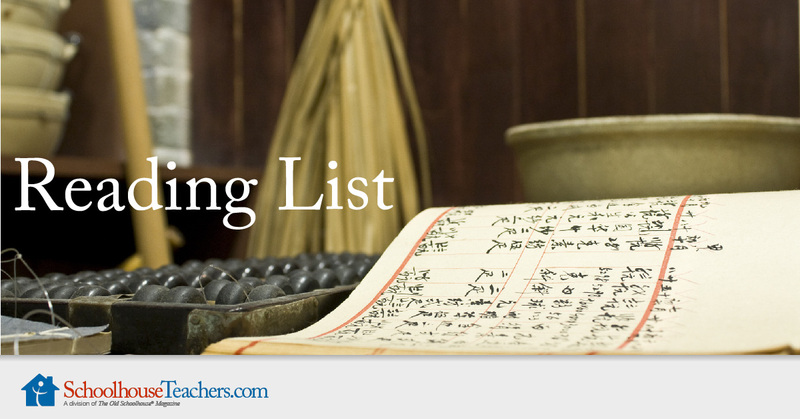 These detailed printable monthly reading lists explore various topics; each list is broken down by subject and includes a suggested grade level for each book. Book Reviews can be created individually or written together as a family with mum being scribe. Place all the book reviews into a family Reading Book List folder with plastic sleeves. Over the years, we created a wonderful book called "Our Classics Book” and in that we have pictures, copywork and comments on the book we read. It is a treasure to look back on. From time to time, my children write about a character from a book which they have just read and describe why he/she was a hero. What character qualities did they possess? How did they grow as a character? What made them act the way they did? Creating Story Maps is an interesting project where you trace the path of the main characters of the book. It's great for stories about journeys - The Hobbit, The Wilderking, Around the World in 80 Days. This help to develop the writing skill of sequencing and plot development - ordering the story line. 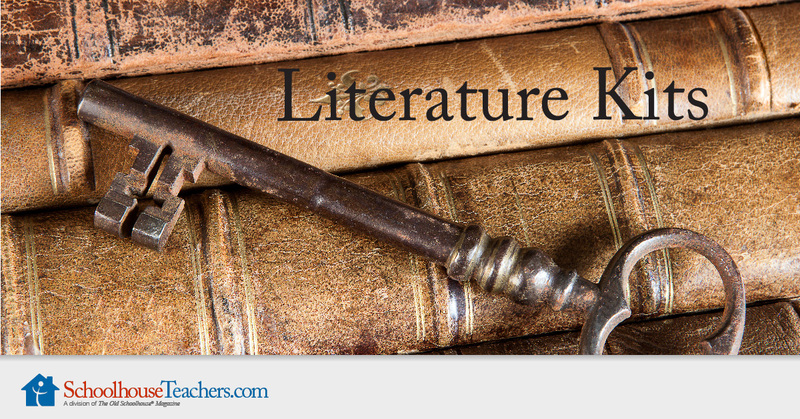 Literature Kits will help ignite your homeschooling as you read and interact with the literature selections. "My hope is that these Literature Kits will help ignite your homeschooling and that you and your children will enjoy special moments together as you read these books. In addition, my desire is to provide tools to assist you in developing in your children a love of good literature; teaching them critical thinking skills; expanding their knowledge of the Bible, history, geography, and other subjects; developing their writing abilities; “traveling” as a family to fascinating times and places; creating fun art projects; and experiencing different foods and flavors." Literature kits post every two months and focus on a different book with each unit; explore language arts, hands-on activities, recipes, history and geography, Bible, science, and more. After having read a book, you may choose to redesign the front cover including the front, spine, and back cover with a new publisher's blurb. The writing skill involved in this is to summarize the theme of the book. It also helps to capture the main elements of the story and then present them as a 'teaser' so others will also be excited to pick up the book - and without giving away the ending! After having read a book or a chapter, you could paint or draw a series of pictures mounted on a large sheet or paper so that a 'cartoon strip' of episodes is displayed. You can also create a video from the cartoon strip. Choose a scene from the book and make it into a play. Use your own sound tracks and special effects. Video your play. Create characters with puppets (stick, hand, finger, glove puppets) and put on a puppet performance. Create a board or card game based on the book. 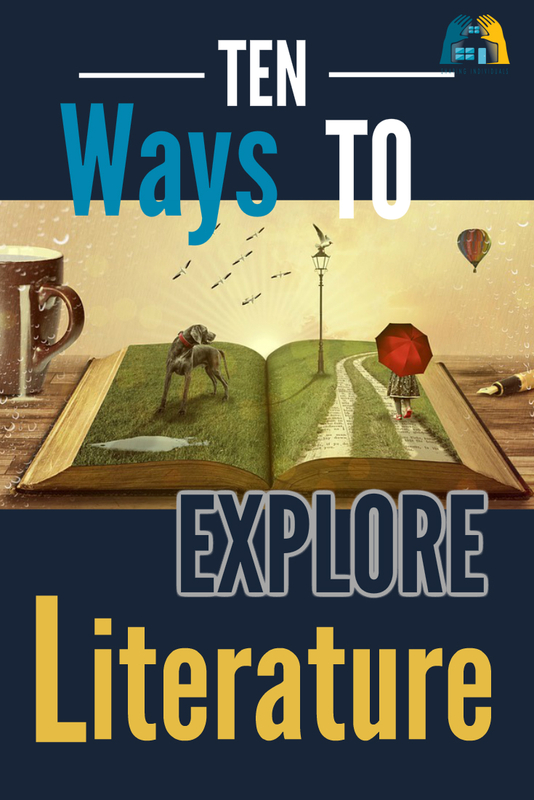 Literature is to be enjoyed and these are some ways in which you may decide to enhance your study of literature. I would never attempt to do put all these ideas into action after reading one book! I’d pick and choose accordingly and follow ideas which excite my own children. I hope this list helps you to understand how to teach writing skills in the context of using literature and reading as your motivator. Perhaps your family will also enjoy putting some of these ideas into practice.